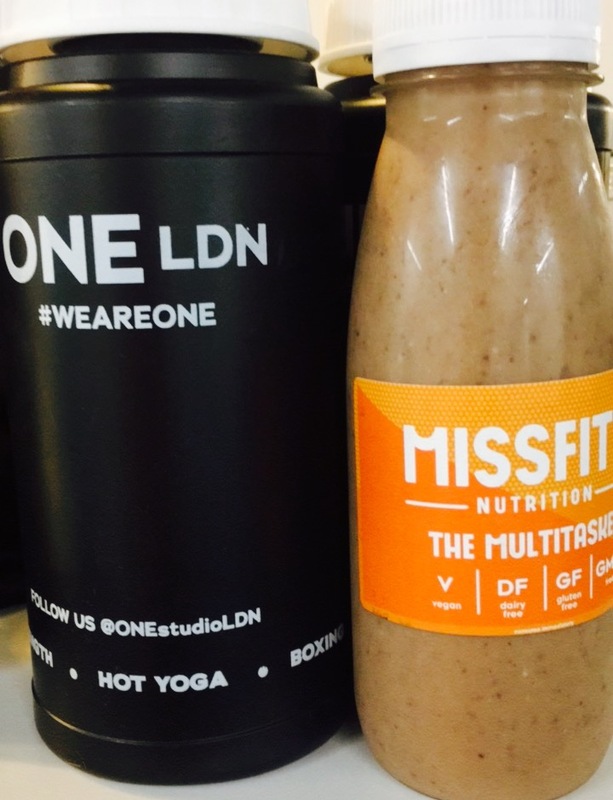 MissFits One LDN at the ready! 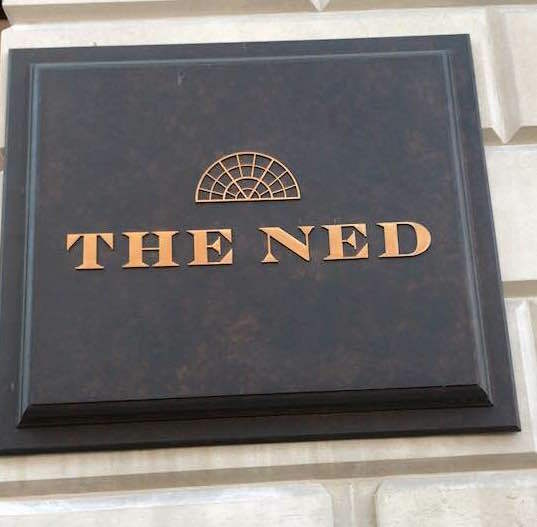 As 30 females gathered in the reception area at One LDN Tower Hill, the second location launched by the One LDN brand (also in Imperial Wharf), needless to say excitement, volume, and lycra content was high! As more and more guests began to walk through the doors, there was a flourish of hugs and girly squeals as we all greeted familiar faces. 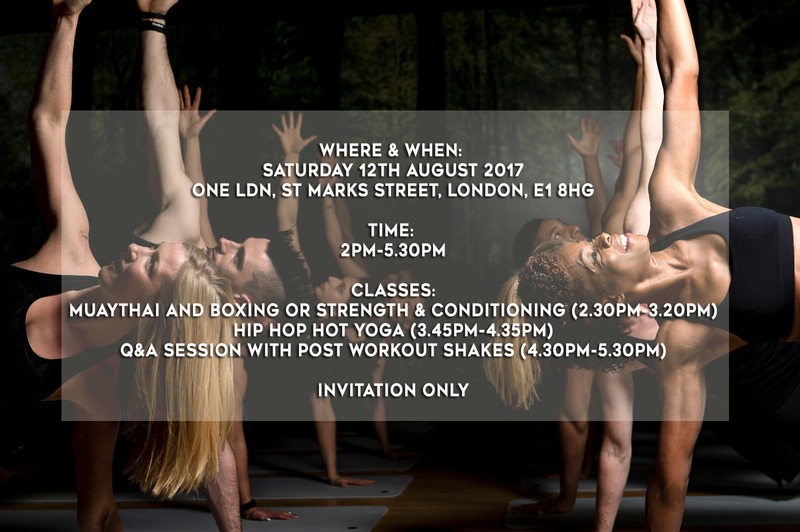 With One LDN aiming to deliver the best results driven studio classes in London, the new Tower Hill studio offers three different class types - Strength & Conditioning, Boxing & Muay Thai, and Hip Hop Yoga. 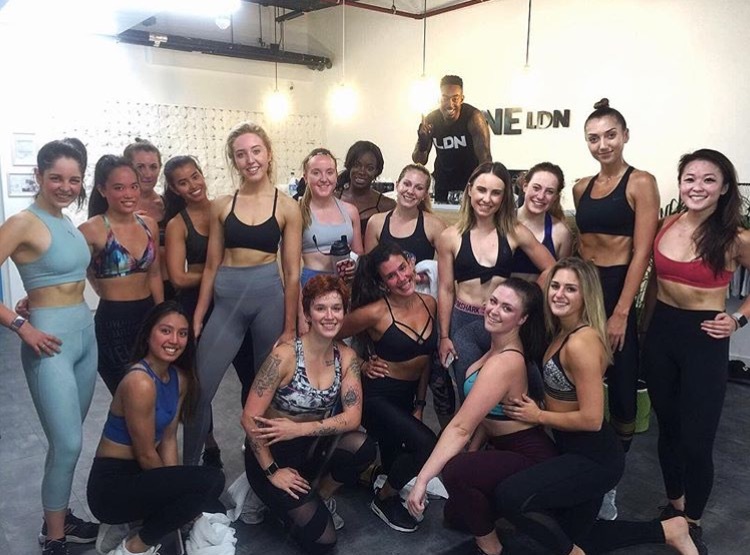 Given the option to choose between the first two more cardio based classes, I decided to go for the Strength and Conditioning class, which we were delighted to find out was being taught by another familiar face, Courtney - aka thehiitman, also Nike Trainer and coach at luxury Marylebone gym BXR. OK, so I say we were delighted it was him teaching, we were HALF delighted, because knowing from previous experience, Courtney makes you WORK! 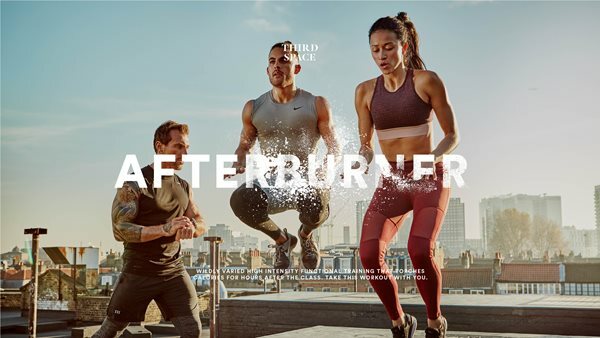 With three rounds each lasting eight minutes in total, it might not sound like much, but when you're working on an AMRAP routine (as many rounds as possible), eight minutes is a long time to be going full out. 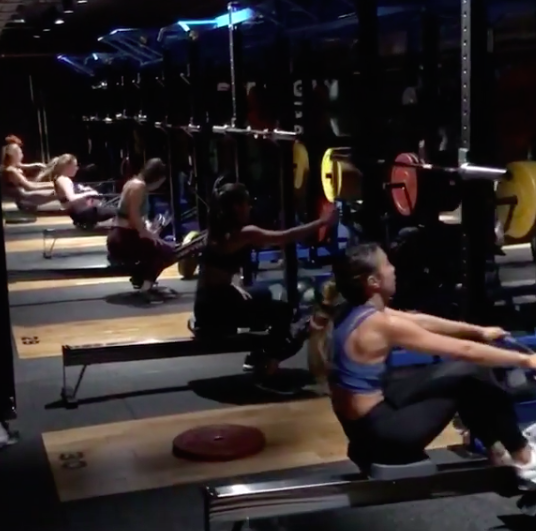 Each round consisted of three exercises, everything from heavy deadlifts, to twenty four inch box jumps, body weight press-ups, adding in cardio blasts on rowing machines. EVERY MUSCLE ACHED. Team Strength and Conditioning .... just slightly sweaty! And, if the sweat dripping from the other girls in the Muay Thai studio was anything to go by, they didn't get let off easy either! To make their Muay Thai classes as authentic as possible, One LDN worked with professional fighters to pieces together the ultimate boxing workout, and the girls were put through their paces learning a proper fight technique combined with high intensity cardio drills. A class I definitely need to go back for! How many fitness females can you fit in a boxing ring?? 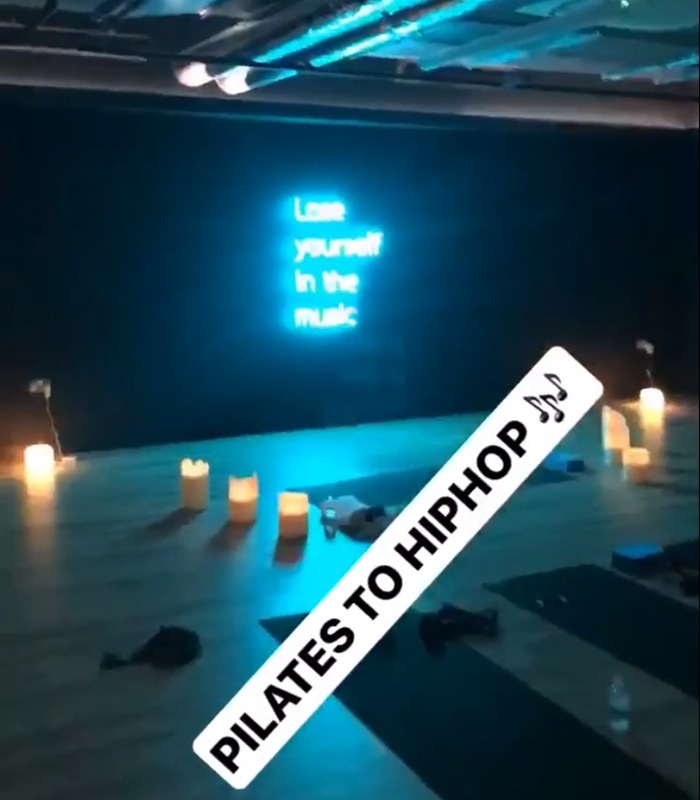 To end our full body blasts, we were all due to combine in the third studio for a 45 minute 'Hip Hop Yoga' class. However, slight disaster emerges when the instructor calls in sick 30 minutes before she's due on. Nonetheless, when you have a room full of fitness pro's, a little glitch like that isn't gonna stop you - and the beautiful blogger, fitness mentor and personal trainer, Georgie Spurling , stepped up to hold an abs focused Pilates blast. 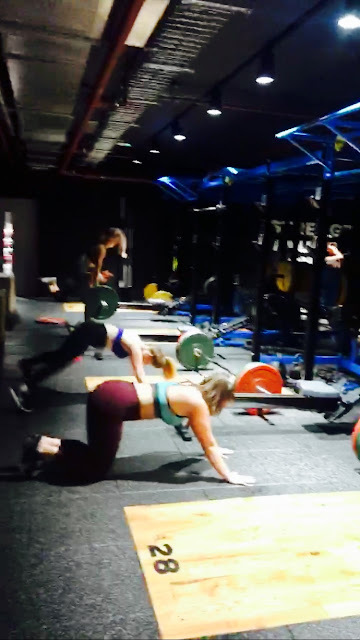 Trust me, if you want abs of steel, Georgie is the girl to go to - this girl is fierce!! 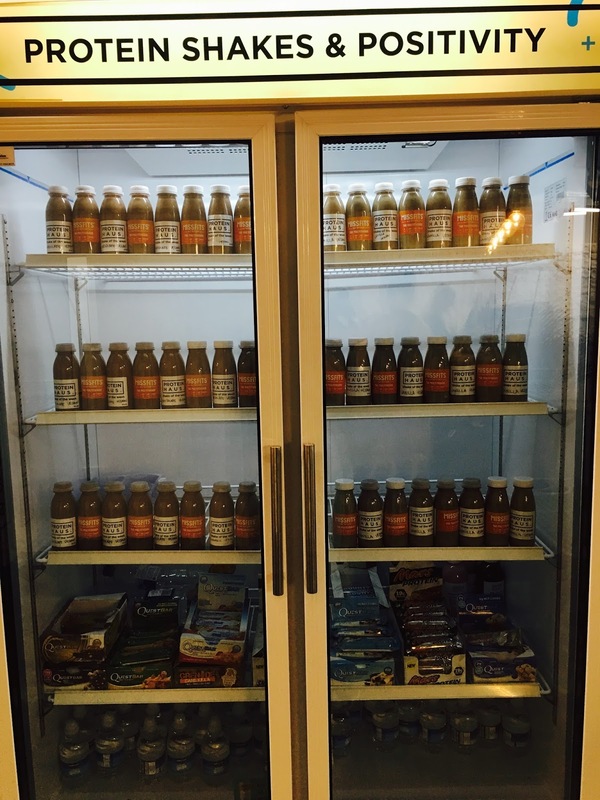 Finally, came the part we'd all been waiting for - that refuel with delicious MissFits x Protein Haus protein shakes! For anyone not familiar with MissFits - firstly, where have you been?! Secondly, get them in your life! 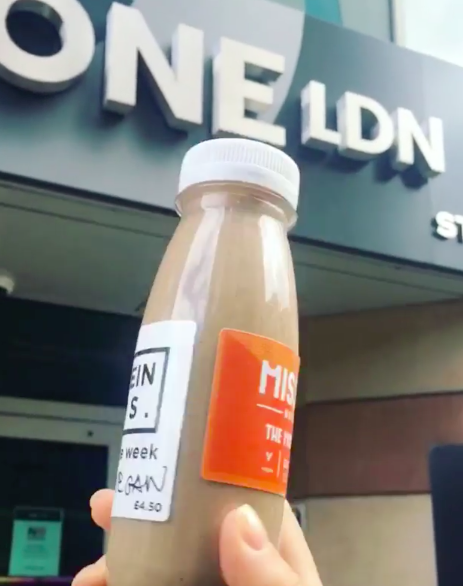 Designed FOR women, by women, MissFits have turned the perception that protein shakes are only for males looking to bulk on it's head. Recognising the majority of powders on the market are filled with artificial, unpronounceable ingredients, the MissFits powders contain only natural ingredients. Rather than add sugars and chemicals, these powders add NUTRIENTS - glutamine (speeding up recovery time), Vitamin B12 and green tea extract (giving you that post workout pick me up), zinc and bamboo extract (for perfect hair, skin and nails - what every girl is after! ), digestive enzymes and flax seed powder (for good gut health) and, finally, natural flavouring with stevia (to make sure it's not only good for your body, but also your taste buds!). Protein shakes & Positivity - words to live by! Mixed with banana, almond milk and a couple of ice cubes, it's by far my best way to end a heavy lifting session. Best part is, they even come in handy little sachets perfect to pop in your handbag.... yep, girl gym life at it's finest! Turning boring workouts on their head. With these girls, fitness is fun! Having a flick through the rail of LiveUK clothing just before we left (and literally having to get dragged away before I purchased more of less every pair of leggings in sight! ), there's not one person out the entire group who wasn't ridiculously happy to have been part of such an awesome event. Which is exactly the thing I love about the fitness community - the positive vibes from these girls were so strong, and I can't thank Tara (founder of MissFits), Protein Haus, One LDN and Live UK enough for bringing us all together under the one roof. If any of the above have taken your fancy, pop along to www.missfitsnutrition.com/ (they also have lots of tasty protein packed recipes to try), https://oneldn.com (the studio hosting the event, class offers and packages available), and https://www.liveclothing.uk (for activewear heaven!). Thanks for sharing this helpful article .. 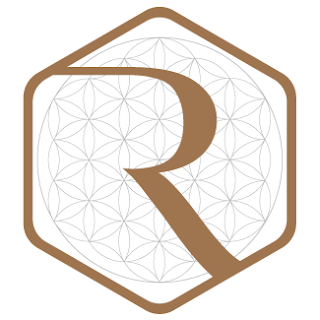 Thanks to your sharing, I can enrich my knowledge.Given such a great deal of information in it, Your posts can help me more and more in the future. Once again thank you.